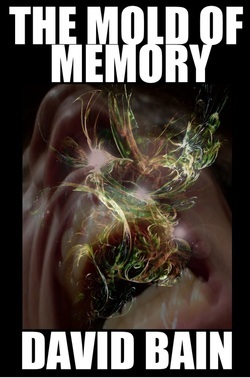 I wrote “The Mold of Memory” in a science fiction workshop in 2006 with Nebula and Hugo finalist Phyllis Eisenstein at Columbia College Chicago, the school where I earned my MFA in writing. It was a rather flighty assignment, as I recalled. Phyllis showed us a number of her personal collection of prints by Ed Emshwiller, one of the premier artists of the Golden Age of sci-fi. Our assignment: Write a story based on one of them. The picture I chose involved a scantily clad, buxom woman - I don’t think Emsh - as he was known - ever drew a female not shaped like a bell curve. She was scantily clad and in distress - because some sort of he-man astronaut/scientist type was coming for her and was in the grip of … apparently some sort of flowering multi-colored dust. Columbia was hosting its annual Creative Nonfiction Week literary festival about the same time. One of the guests that year was Joel Garreau, who gave a talk on his then-new book: Radical Evolution: The Promise and Peril of Enhancing Our Minds, Our Bodies – And What It Means to Be Human. I was fascinated by the concepts Garreau was describing He was insisting that we’re living in a science fiction world and that many high tech, “unthinkable” solutions were already out there, but just not very exposed to or accessible by the public yet. I felt so unsure of myself in the science fiction realm, once upon a time, that this story didn’t see print until 2011, when my fellow Hoosier James Ward Kirk announced he was putting together a collection celebrating science fiction by Indiana authors. I’d previously published a story with him for a similar crime collection, so I sent him “The Mold of Memory.” He accepted it. But one thing. James didn’t particularly care for the title, in what he took as the context of the story. We spent a fun hour on Facebook one afternoon shooting different ideas back and forth for a new, revised title, and we finally settled on one that sort of punned on the memory and nanotech aspects of the tale: “I NaKnow You”. I tend to give in to editorial requests, but, in the end, that title’s just too punny for me, so, when the contract expired and I self-published it, I returned to the old title, but with an acknowledgement and thanks to James. Join The Friends of Bain newsletter for more insider notes, plus serialized fiction, discounts and more! You also get a free, member-exclusive novella just for signing up!